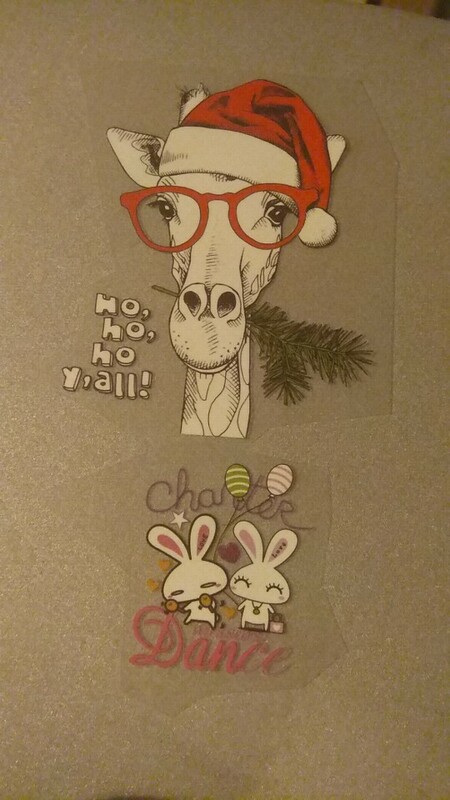 HOHOHO! 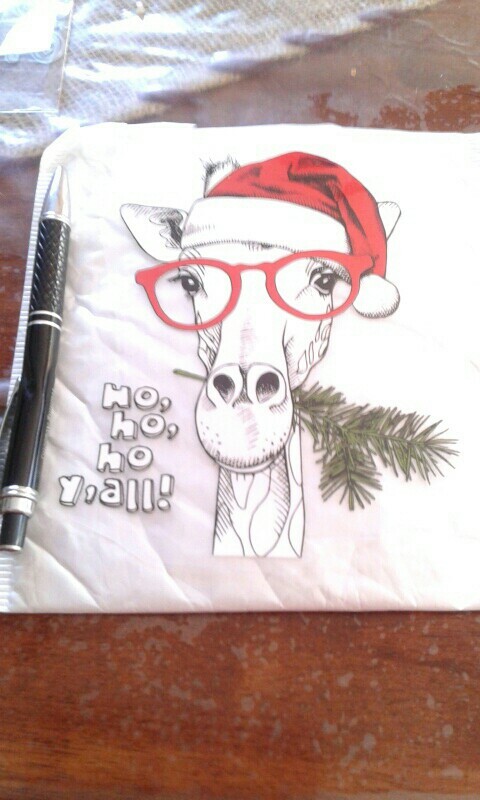 This funny Christmas Giraffe Iron-on Patch will create lots of smiles during the holiday season. 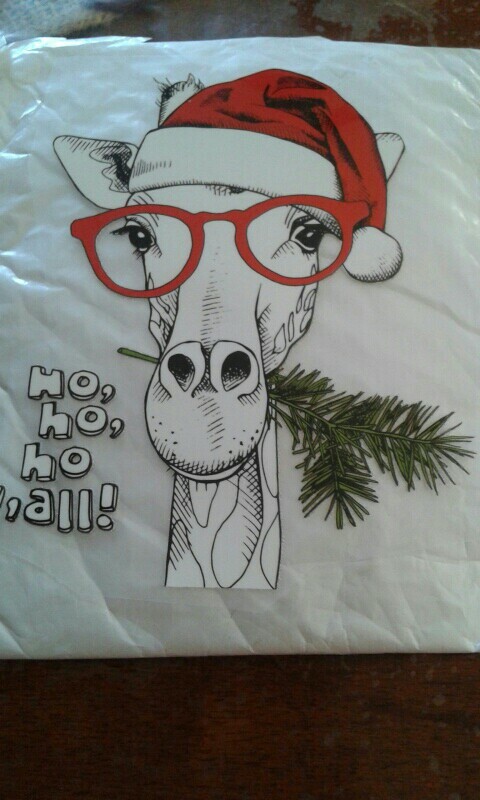 Just upgrade your wardrobe with this cute hungry giraffe heat transfer appliqué and enjoy the festive time with family and friends. After transferring the iron-on patch with a household iron or a heat transfer machine, you can wash the garment as usual. A little small but very well.